Four rounds in and it is a perfect 100 points for Nico Rosberg and perhaps an even more encouraging 43-point lead over his colleague and nearest rival, Lewis Hamilton. If we put that into context, it is a 70 point swing from four races in last year! NOTE: The game has been updated following the Red Bull driver swap, carry on reading to see how this works. Has your own Fantasy season started with such aplomb or have you been left with Vettel-style outrage when the results have rolled in on a Sunday? Fear not, as whilst Lewis and the rest only have 425 points left to play for, us Fantasy GP lot have so many more. Going back to traditions, here is a driver and team focused ‘prixview’ for this weekend’s race in Barcelona. Magic eight? – Nico Rosberg (£20m) – Timing is everything and it would probably be wrong to pause now and applaud Rosberg’s incredible run of form. This weekend could represent his eighth straight win which would take him second only to Sebastian Vettel and that Red Bull, whilst he also has one of the quickest men in F1 as his team-mate. Hamilton’s fighting spirit has seen him score 20 more fantasy points than his German rival (156 compared to 136) but Rosberg now actually represents slightly better value than the Britain with 6.8 points per million spend (compared to 6.78). Plus, an added bonus of £4m to spend elsewhere cannot be sniffed at – it is 80% of a Grosjean after all! Fantasy players are noting Rosberg stepping out of the shadows too and he has doubled in popularity since pre-Melbourne with 28.5% now including the title leader in their line-up compared to 13.8% before Australia. For better or worse? – Red Bull (£14m) – There was only one team that could possibly come under focus this weekend after Red Bull’s controversial decision to replace the young Daniel Kvyat with the even younger Max Verstappen. It is not hard to feel sorry for the Russian as he will feel, despite the unfortunate recent incidents, that he has contributed well to Red Bull’s campaign, winning with 21 out of their 57-point haul including that surprise podium in China. Anyone that has invested in Red Bull can’t be too disappointed to date with the British-based team having the third highest point haul (behind Mercedes and Ferrari) and are also the third most valuable team (at 4.07 points per million spent) behind the obvious Mercedes and the bargain Haas outfit. Can Verstappen give them wings and get them higher? Despite him accounting for 76.5% of Toro Rosso’s points haul, you’ll need to be cautious as to whether their engine can deliver over the season, even if Daniel Ricciardo is pushed hard too by the young prodigy. Opinion is split amongst Fantasy players with 26.9% having them as part of their selection – a very middle-ish 5th in popularity. 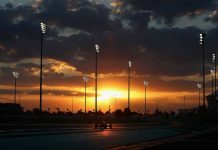 Other Tips – It would appear that the omens are good for Rosberg to continue his good form following his win at the circuit last year. Hamilton certainly cannot afford such a sluggish start this time around if he wants to start climbing that mountain. 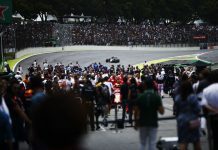 Vettel will be hoping to get back (or stay on) track with another podium finish whilst Williams and Red Bull will be seeking solid point finishes again as well as to take any advantage of slippages amongst the recognised top four. Carlos Sainz Jnr was perhaps the surprise package from last year as he slipped into 9th and upstaged his new colleague Kyvat in the Red Bull. Can he drag attention away from “those two” this weekend? Weather is currently forecast to be dry for both qualifying and race day but unusually changeable conditions and cool temperatures means this may change by the weekend. These less warm conditions may also have impacted on teams’ reluctance to overload of Pirelli’s hardest compound, with the yellow soft likely to be the favoured option in Sunday’s race for the majority of teams. Any safety car fans are likely to be disappointed, it has been a whole 7 years since Catalunya witnessed such a phenomenon and only 2 of the last 10 races have seen its inclusion, though the addition of the Virtual version means it is much easier decision for the race director these days. You will need to go back to 2012 before there were more than three retirements in the race so be careful with your choice here – I fear poor Rio Haryanto may be a safe bet once again! Firstly, If you had Verstappen in your team, you will still have Verstappen in your team, now driving for Red Bull. If you had Kvyat in your team, you will still have Kvyat in your team, now driving for Toro Rosso. Simple. The respective historical results have also been updated too. Secondly, Kvyat’s price has been reduced to equal Verstappen at £8million. This is to reflect the effective demotion to the B-team and well, it makes him a bit more attractive too. Verstappen remains at £8million, so is a huge bargain now! Next articleFormula One’s Next Generation? Massa’s Fueled Up For Silverstone!